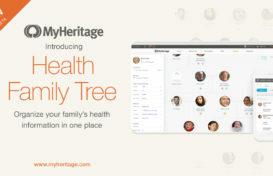 At MyHeritage, we constantly strive to improve our matching technologies to make family history easier and more accessible for our users. One of our main goals is to facilitate more collaborative family history research and allow our users to enjoy its fruits, so they could share with and learn from each other, and save considerable time and effort by not having to repeat research already done by others. Today, we’re thrilled to announce the launch of Photo Discoveries™, an exciting new feature unique to MyHeritage that fulfills this goal. 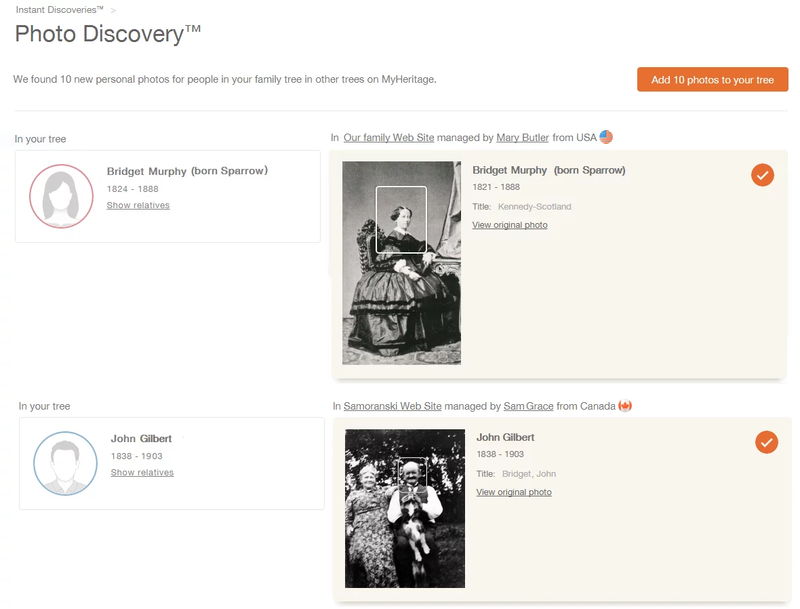 Photo Discoveries makes it easy for you to add photographs to people in your family tree who currently do not have any photos, in just a few clicks, based on the work of other users. Many of us cherish the emotional moment when we see for the first time a photograph of our ancestor or relative whom we’ve never seen before. Photo Discoveries can make those special moments happen for you too! Even experienced genealogists are in for a treat. Photos bring family trees to life! This is best illustrated with a visual example, shown below. The family tree is much more interesting and better looking now! It has been enhanced not only with personal photos, but also the full-size original photos from which these portraits have been cropped. Photo Discoveries is collaborative genealogy at its best. Many users have difficulty obtaining historical photos of their ancestors. But ancestors are something they share with their cousins, second cousins, and other more distant relatives. Therefore, it’s possible and quite common that photos you have struggled all your life to find, are in the possession of some of your relatives, who will be happy to share them with you. With Photo Discoveries, we have facilitated a new and easy way for people to share historical photos of people they mutually care about. For many years, our users have been enjoying Smart Matches™. These are matches between family trees. However, going over individual Smart Matches and adding the information they can bring to one’s tree, one person at a time, can be very time-consuming, which is why we invented Instant Discoveries™ — the ability to add an entire branch of individuals to your family tree based on one Smart Match. Realizing the importance of photos in family history, we wanted to develop an enhancement to Smart Matches that is focused on photos. With Photo Discoveries, we took the innovative technology behind Instant Discoveries one step further and used it not for adding people or facts, but specifically for adding photos. We look at all your Smart Matches (sometimes many thousands of them) and isolate the matches with other trees that contain photographs, where the corresponding people in your tree don’t have a personal photo, i.e. they are represented by a silhouette in your family tree. We then consolidate all these discoveries into small packages of up to 10 photos each and call each one of them a Photo Discovery. Each Photo Discovery is a collection of personal photos that can come from different family sites, each one based on a single Smart Match, and you can add the entire Photo Discovery to your tree in one click. Photo Discoveries are a pleasure to use. In one click you can add ten personal photos for ten different people in your family tree that until now didn’t have photos. Then, on the next day, you can add another Photo Discovery, and so on. You don’t just receive a personal photo: when photographs are copied over to the associated family tree profiles in your tree, the original photo gets copied to your family site as well in its maximum resolution, together with all metadata of the photo, such as people tags (for people you already have in your tree), dates and place names. When a photo is copied, a source citation is automatically created for that individual giving credit to the source and the other user from which the photo was copied. Photos will originate only from family sites where the privacy setting for allowing photos to be copied from Smart Matches is enabled. Before Photo Discoveries, you could have reviewed all your Smart Matches manually looking specifically for opportunities to bring photos you don’t have, but this could have taken you weeks or months. Some of our users have hundreds of thousands of Smart Matches and can’t possibly go over all of them. Photo Discoveries automate this for you. An important aspect of Photo Discoveries is their accuracy. As the Photo Discoveries feature is based on our underlying Smart Matching™ technology, we filter out the vast majority of incorrect matches automatically. You can rest assured that we’re giving you pictures of people in your family tree who are actually those people. But just in case, you can still dive into each Photo Discovery and reject the photos that you don’t want, before adding it. You remain in full control of what to add to your family tree. Visit the Instant Discoveries™ page via the Discoveries drop-down menu in the main navigation of your family site. In the Instant Discoveries page, you will see a list of Person Discoveries (discoveries that can add new individuals to your family tree), and Photo Discoveries (discoveries that can add photos to existing individuals in your tree). To view only Photo Discoveries, click the “Photo Discoveries” filter as shown below. Click any of the orange “View Discovery” buttons to drill down and see the photos included in that Photo Discovery “package,” as shown below. For each photo included in a Photo Discovery, you will see the name of the family site that it comes from, and the site manager’s name. You will also see additional information available about the photo, such as its title, date, place, and description, and additional information about the person appearing in it. Moving the mouse over the site manager’s name will open a callout, from which you may contact that user and communicate directly. This can be used to thank the site manager for the photos and ask if he or she has additional materials to share with you. You may click “View original photo” to see a larger version of the photo from the Photo Discovery and see who else is tagged in it. By default, all photos in a Photo Discovery will be copied to your tree when you add the discovery. If you’d like to exclude specific photos that you don’t want, click the checkmark next to any photo to deselect it. Finally, use the “Add” button on the top right corner of the page to add all the photos to your tree in one click. To completely reject a Photo Discovery, click “Reject this Discovery” at the bottom of the list of photos found in that discovery. Rejected discoveries will not be offered again. 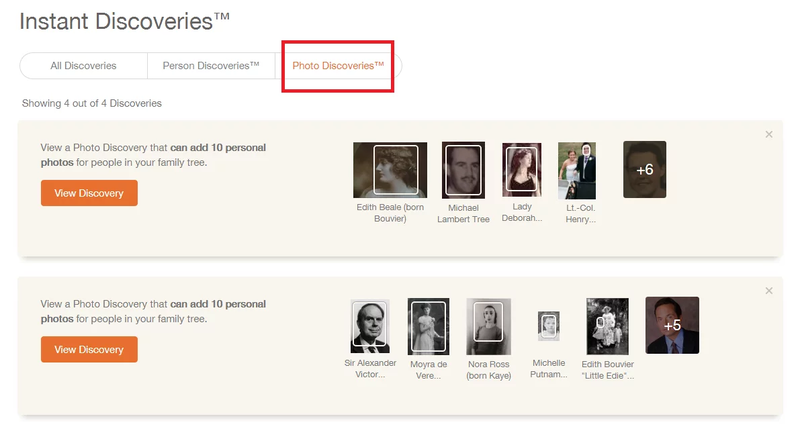 After adding a Photo Discovery, if you have less than 50 people in your family tree, you will be taken back to your family tree to see the new photos that you’ve just added. If you have 50 or more people in your family tree, you will be taken to the Photos section, where you can view the photos that you’ve added. If a new Photo Discovery was found for you, we will notify you via a Photo Discovery notification email, so you won’t miss it. You will receive at most one such notification per week. 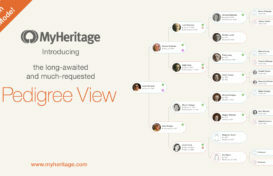 Photo Discoveries are available to all users on MyHeritage who have a family tree. Discoveries are shown in a small thumbnail format for free. Adding Discoveries to your tree or viewing the original size photos requires a PremiumPlus or Complete subscription. If you have a PremiumPlus or Complete subscription, you’ll be able to add one Photo Discovery per day. After adding a discovery, we will re-calculate discoveries for you and you will be able to come back the next day and add more. With the introduction of this new type of discovery called Photo Discoveries, there are now two types of Instant Discoveries: Person Discoveries and Photo Discoveries. 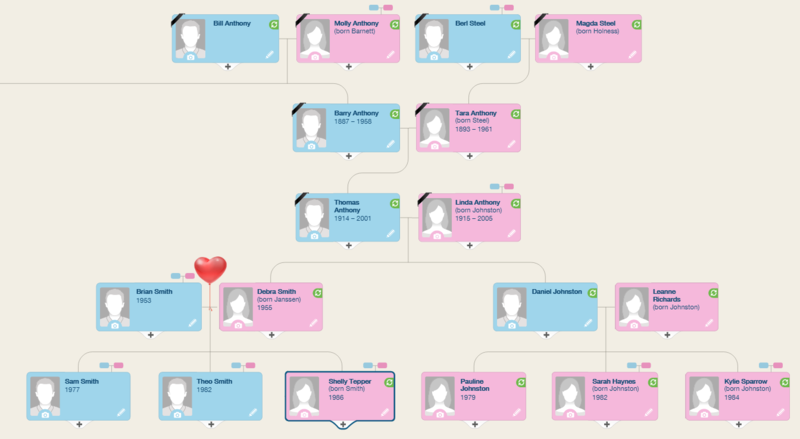 You can now apply a Person Discovery to add a branch of individuals to your tree, and then apply a Photo Discovery to bring photos of these individuals (and other individuals) from other family trees, into your tree. You can repeat this as often as you’d like for as long as more discoveries are available. Photo Discoveries is a unique feature. As far as we know, no other genealogy service has anything like it. Millions of our users now have Photo Discoveries waiting for them. If you currently have no Photo Discoveries available, we recommend that you make an effort to grow your family tree further, by adding more people and more facts to your tree (such as birth dates and death dates). This will increase the number of matches you will receive, and create more opportunities for you to get Photo Discoveries. 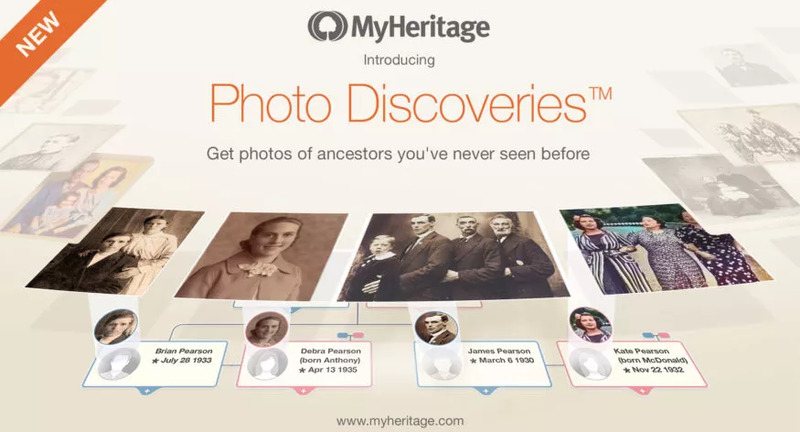 We hope that you will enjoy Photo Discoveries, and thanks to this feature, be thrilled to see for the first time what some of your ancestors and relatives look like. We also hope that you will derive satisfaction from helping other relatives of yours if any of them occasionally take a photo from you. Collaboration is the future of genealogy.